In stock 194 items in stock. 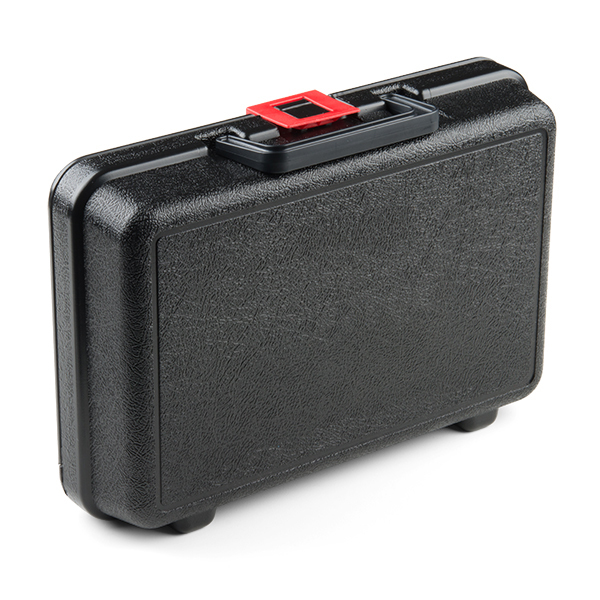 Sometimes all you need is a simple but durable carrying case for your parts or projects. 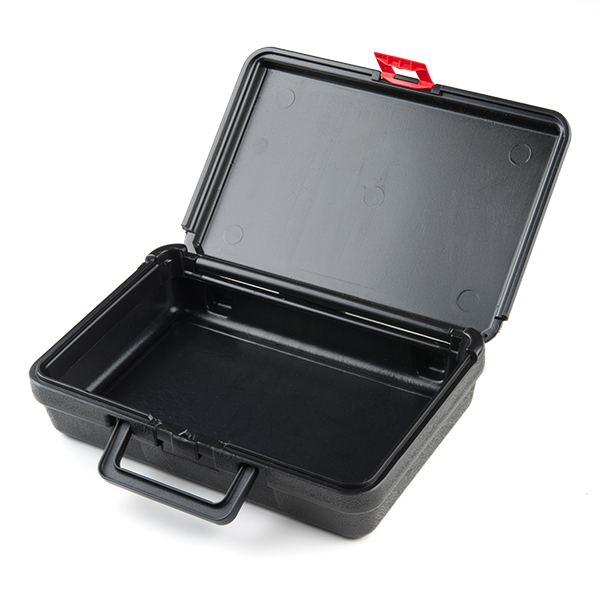 This carrying case is molded out of protective, black High-Density Polyethylene (HDPE), providing a good mix of abrasion resistance, impact toughness, resistance to chemicals, and strength for whatever you need to go inside! The lid features a Polyolefin snap-in latch and carrying handle as well. 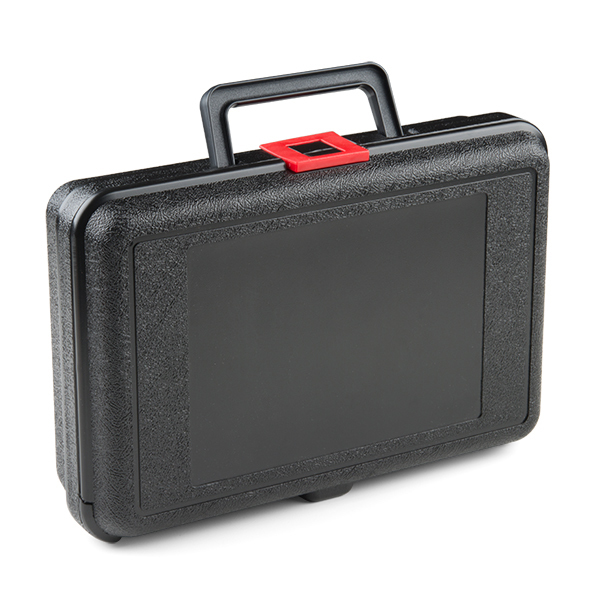 This case is the same one we have used for the SparkFun Inventor's Kit v4.0, but unlike previous cases for the SIK, this version does not feature storage compartments. If you like to keep your components ultra-organized, we've provided a 3D-printable file (located in the Documents tab) that you can use to create separators for your case. We have also provided the interior dimensions (located in the Features tab) so you can design your own separators to meet your specific needs. Can you please confirm if the case includes a piece of foam, as does the Sparkfun Inventor kit V4 ? The case does not include the foam like it does in the SIK v4.0. We add that in when assembling the kit. Sorry!